Producing square mortises is exacting work. 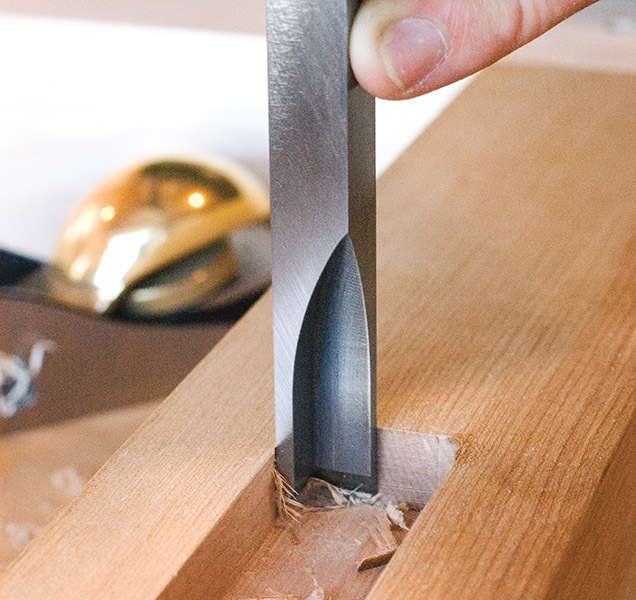 The Corner Chisel, used after the mortise has been roughed out by hand or with a slot mortiser—which produces round edged mortises—helps square corners easily and precisely. Made from A2 Tool Steel, hardened to RC 60-62 and ground razor sharp. Beveled at 30º. Comes with Maine-harvested Hornbeam handles. Overall length is approximately 10". Click here to view our YouTube video "Quick Tips: Sharpening the Fishtail and Corner Chisels". Available in three sizes: 1/4", 3/8", and 1/2".